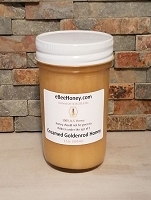 Get 6 varieties of honey in 4 oz. glass muth jars. This variety pack is sharp! We seal each jar with beeswax to keep the cork in place and it looks great. 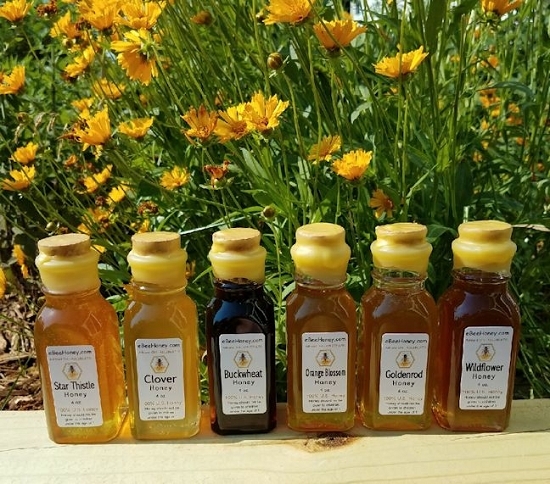 Great gift pack for anyone who likes honey! 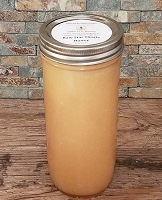 Each jar will be labeled with the variety of honey and the back side of the each jar is embossed with a bee skep and the words "4 Ounces Pure Honey". 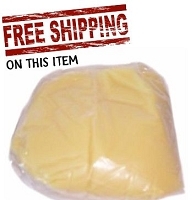 Excellent value, very well packed, delivered quickly. Will purchase from again. Thank you! Loved all but the Buckwheat, which you said one would love or hate. I was forwarned so not disappointed. I like to try new things! May try it in baked items. This set is terrific! Perfect size and variety. Loved all the flavors, but Buckwheat was my favorite, however only if not tasting it right after one of the other sweeter flavors. If you have the buckwheat on its own or paired with a savory dish it can't be beat. Just don't serve it along with the other flavors, doing so makes the maltiness of the buckwheat stand. Top marks for the variety of products in the sampler pack. It's the best way to sample all the different varieties and the jars are useful afterwards as well! Consumer & Lover of HONEY!!! 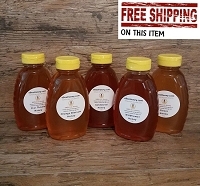 I purchased this multi [pack for gift giving and although I have not tasted each of the 6 honeys included I can say that this is sure to make an extremely impressive gift for the lucky receiver. The bottles have an antiquated look and feel that adds to the ambiance of a handcrafted gift that personal and of course quite sweet. I plan to buy more of these multi packs for gift giving for people at work as well as friends and relatives. Also, please consider breaking the pack open and giving a single bottle to co-workers instead of an entire multi pack which cuts the gift giving cost dramatically while giving a gift that looks and feels personal and of course is as sweet as can be. I purchased these as gifts for my family who live in Texas, Arizona and Virginia. They are the perfect size for a taste of honey and a gift.